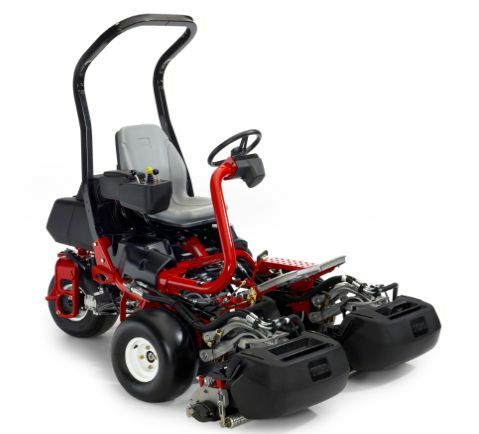 Toro’s all-new Greensmaster® TriFlex and TriFlex Hybrid riding greensmowers deliver the productivity of a rider and the precision cut of a walk behind. 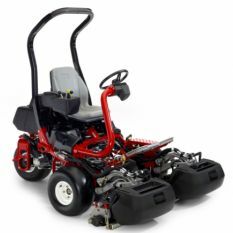 These models were completely redesigned from the ground up to deliver improved cutting performance and course playability, setting a new standard for cut quality in riding greens mowers. Lift-In-Turn™ for a consistently level cleanup pass. The suspension system is designed to provide a slight lift to the inside of the cutting units during turns to deliver a consistently level cut and to reduce "triplex ring" for improved playability and turf health. A single operator can go from cutting Greens at " (3.2 mm) to cutting a Fairway at ¾" (19 mm) in just a few minutes. The tool-free, quick-change cutting units make it as easy as 1-2-3. Redesigned clipping capture system maintains a consistent gap between the basket and reel to retain nearly all grass clippings for a cleaner and healthier cut. In addition, a discharge shield forces clippings inside of basket and minimizes "blow-by".